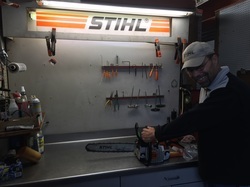 Michael is a Master Service Technician qualified to work on various brands of outdoor power equipment. 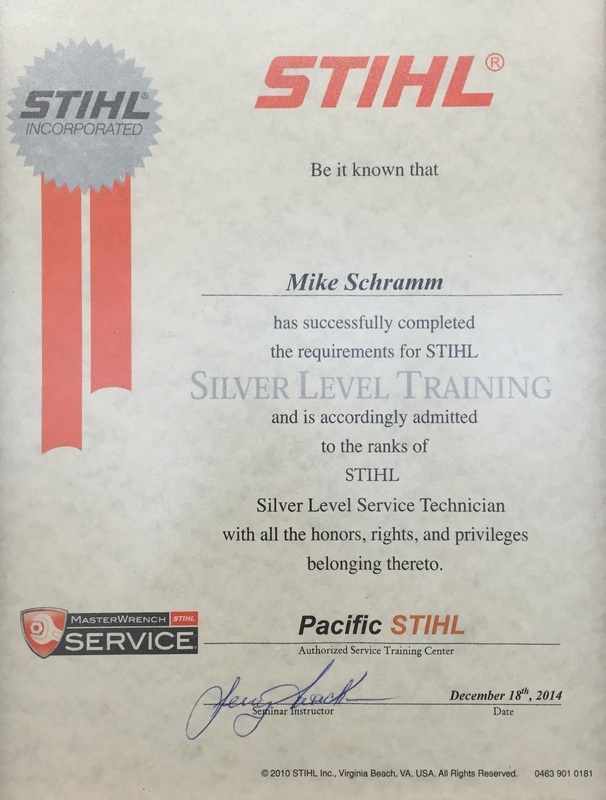 He is a STIHL Silver Level Certified Technician. His knowledge and expertise makes him an asset to this company. Plus, he's a pretty good owner. We'll keep him. 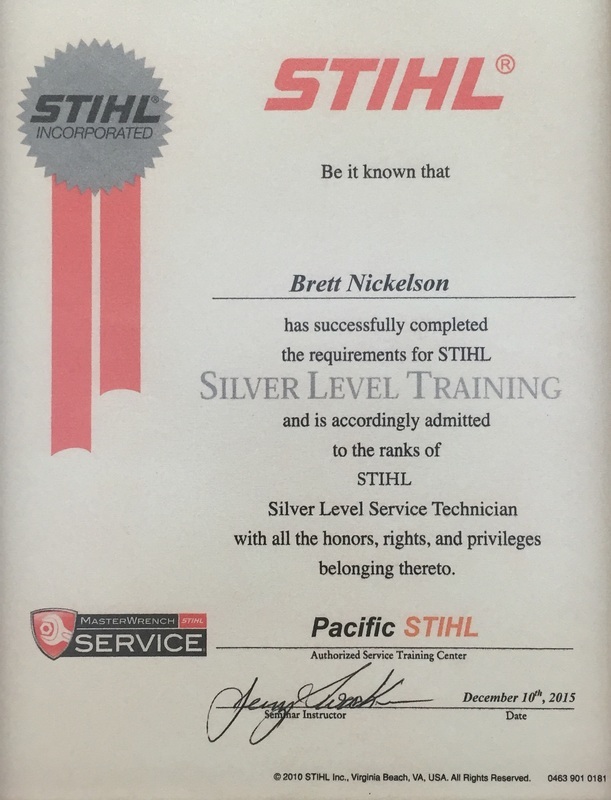 Brett has only been with the company for a short time, but has already achieved Stihl Silver Certified Technician status, as well as becoming factory trained from many of our other manufacturers. His knowledge of engines is great, as is his sense of humor. And he's really nice to Pickles, the shop cat. .